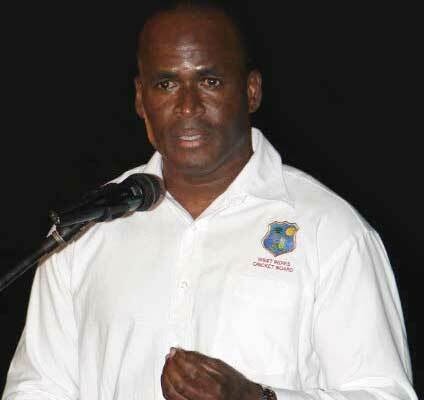 The Grenada Government says it is confident new West Indies Manager Rawl Lewis will be a major influence attempting to improve the fortunes of the regional side as it prepares to enter ICC World Cup qualifiers. News has surfaced in the region that Lewis, a former Grenada Windward Island and West Indies leg spinner, has been appointed to the position, replacing former pacer Joel Garner. Lewis, who has been employed with CWI for a number of years since retiring from cricket, was the manager of the successful World T20 run in 2016. Lewis has 5 Test matches, 28 One Day Internationals, and has played a single T20 International between 1997 and 2008. He was part of the WICB team which implemented the programme for the Under-19s which won the World Cup and has been the coordinator for training and development of first-class umpires in the region. “All Grenada must be proud of this son of the soil who brings a wealth of playing and administrative experience to the regional set-up,” Prime Minister Mitchell said. The Windies will head for Zimbabwe soon to compete in the ICC World Cup qualifiers carded for March. They have been seeded as the top team in the 10-team competition, with the top two going on to the major World Cup tournament, in England in 2019.